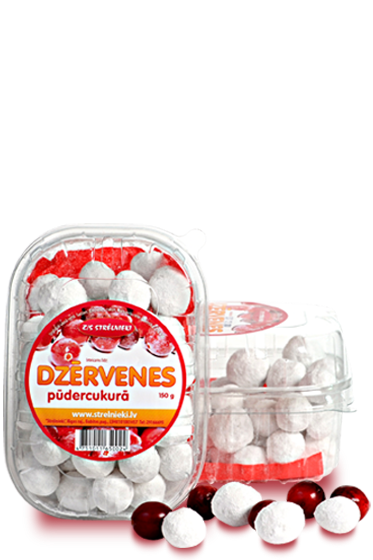 This is a traditional and favourite delicacy in Latvia. The farm grown large cranberries are drageed with cast sugar. The product is made from fresh berries in autumn and from frozen berries when the season has ended.